This post brought to you by LeatherCord USA. Have you seen all the Coachella fashion love on Pinterest and in magazines? Coachella is actually a music festival where you’ll see free spirited fashions galore. 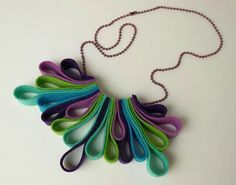 This set started with the knotted strand I had hanging (unfinished) on my bead wall. I was thrilled when LeatherCord USA sent a batch of their tassels for me to play with. Here the tassels are in raw form. They come in suede and nappa finishes and in two sizes. I opted to play around with the nappa finish which is a little smoother and slicker compared to the suede. and brush both sides of the leather. A little dab of paint will do you! 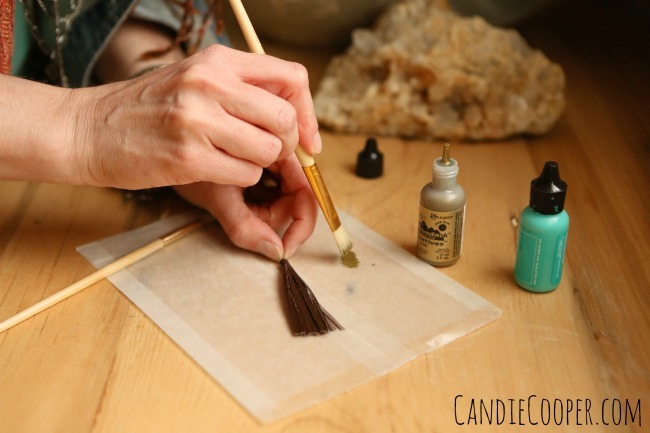 I like to brush most of it off on the wax paper before touching the leather. 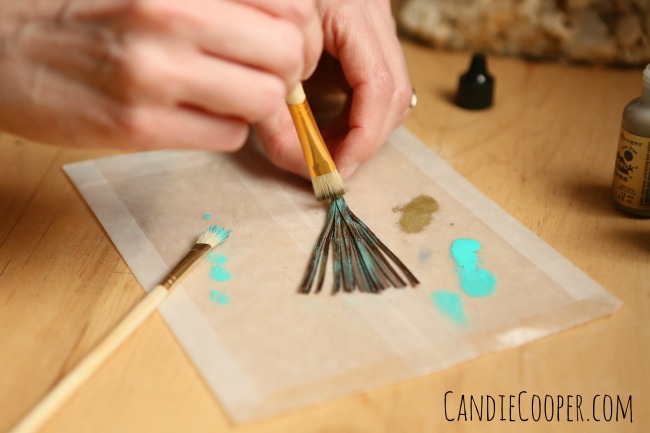 Brush a layer of turquoise (both sides) and end with one last coat of gold. 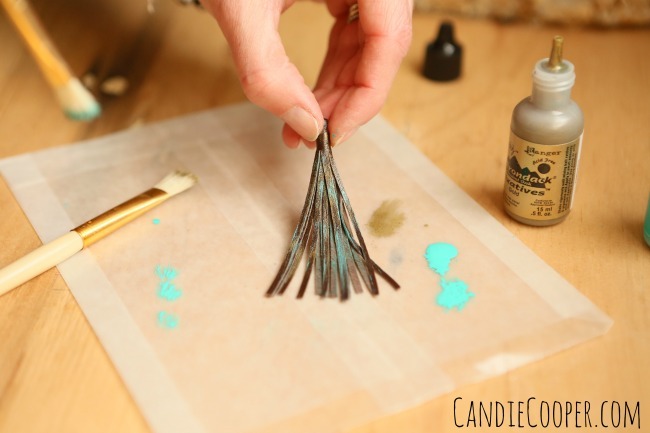 Finishing with a layer of gold tones down the straight turquoise, making the layers blend and look really good! 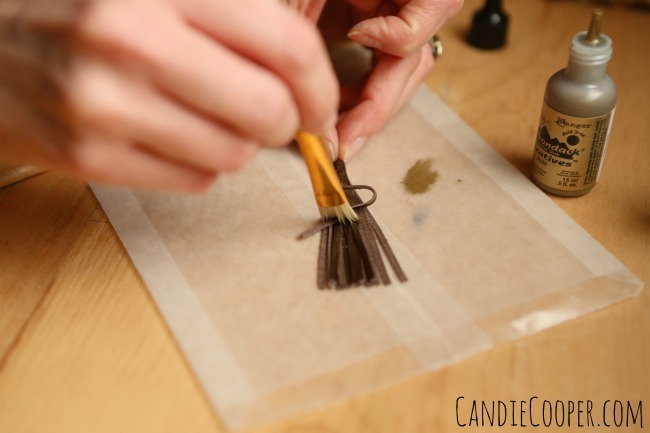 You can do this treatment on thin or thick tassels. 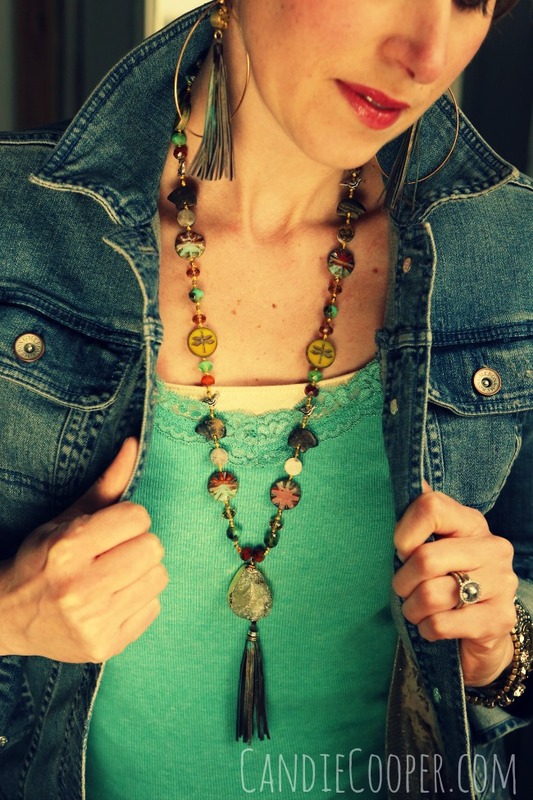 The wheels are turning for more patina’d tassels! 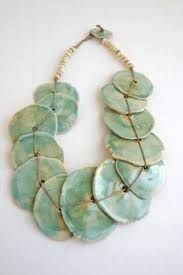 Here’s how I used them in my finished jewelry designs. 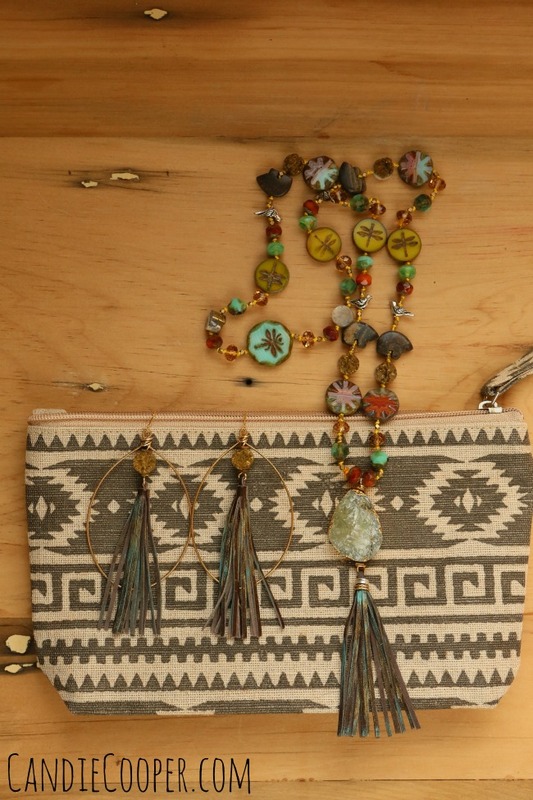 I love how the tassels look with the Czech beads! 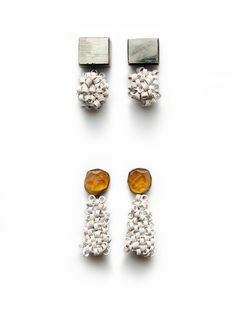 For the earrings, I used 20g. 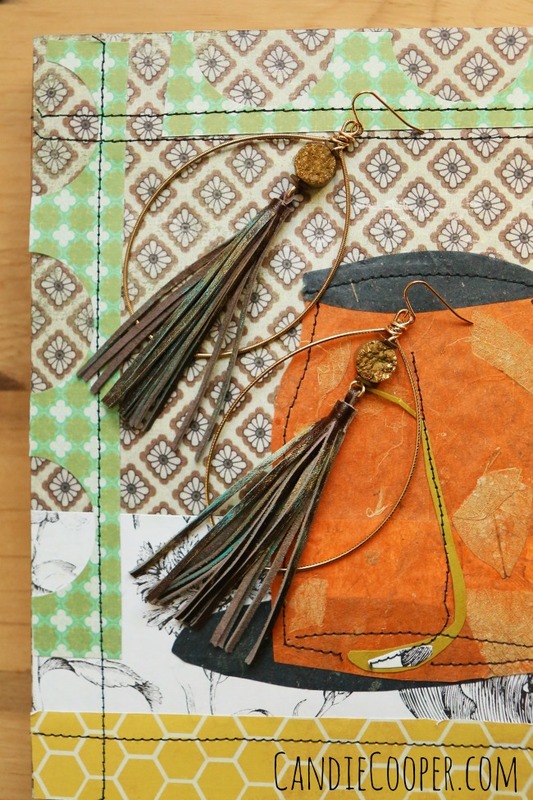 Artistic Wire to wrap the druzy bead and tassel to the big hoop (which is from Snapeez). So fast to make! For the pendant I strung on a big chunky druzy on 20g. wire and finished the ends with loops. 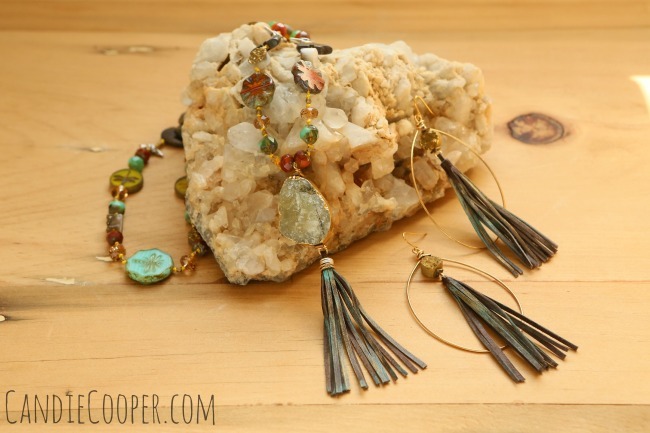 The top of the tassel was wire wrapped with more gold and silver wire. This gives it a nice finished look. 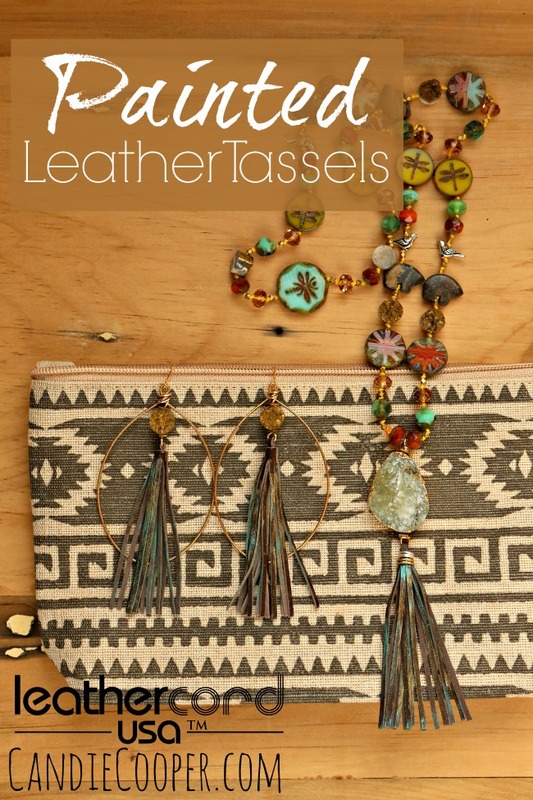 You can shop for tassels here! Now who’s ready for a road trip to the Coachella music fest?! 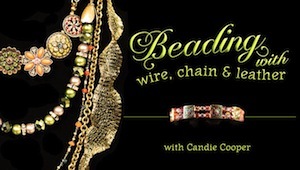 **To knot your own strand of Czech beads like this—check out this tutorial.